The main building of the New York Public Library houses a collection of incredible city treasures—but not all of them are in the reading rooms and galleries. 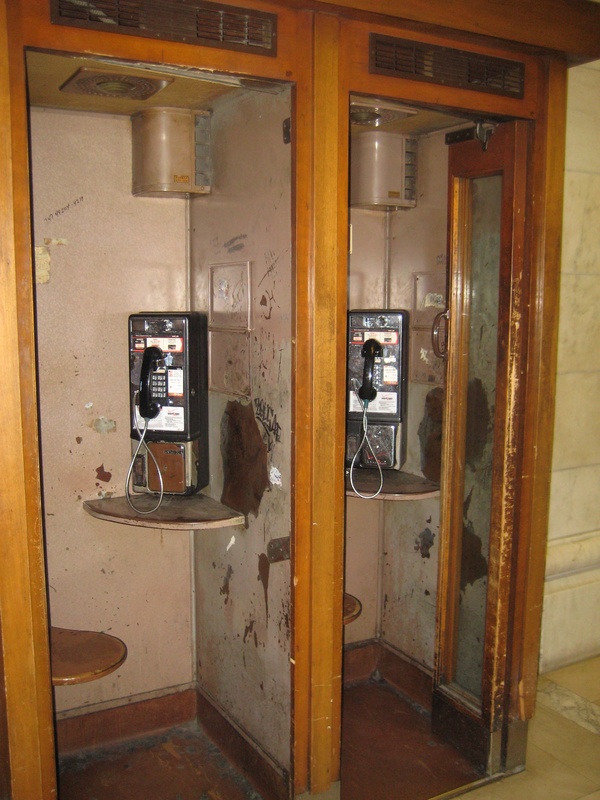 An Ephemeral reader alerted me to a row of nicely preserved wooden phone booths in the basement. The phones themselves are touch-tone payphones, unfortunately. But the booths they’re inside are pure pre-cell phone vintage, with wooden stools, folding doors, automatic fans and lights, even graffiti in the form of phone numbers scribbled on the walls. There are two booths on the main floor as well, but they lack the folding doors the basement ones feature. 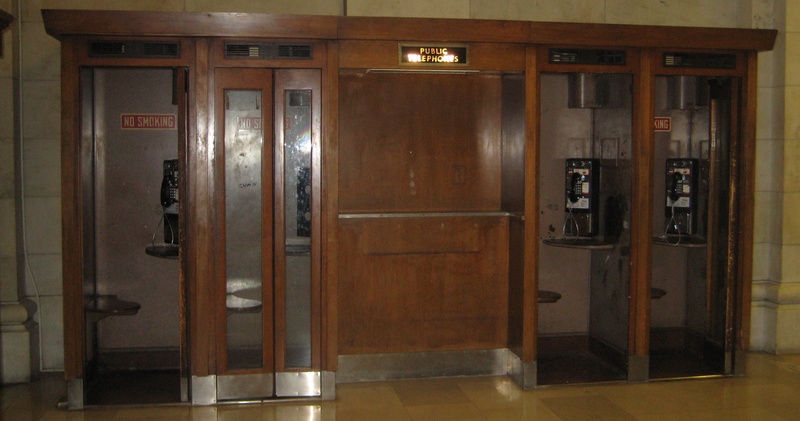 Check out some other old-timey wooden phone booths found in the city.